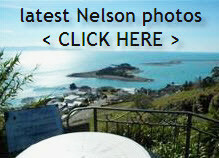 What happens to Nelson Real Estate over Xmas / New Year? I was planning to update you on this earlier, but Ross Braders post the other day jogged my memory. Its a common misconception that real estate / property buyers go into some form of hibernation over Xmas / New Year each year. Self – inflicted maybe…..but I’m here to tell you, this couldn’t be farther from the truth. Here above, the chart from REINZ showing median sales prices over the last few years, I’ve noted on the vertical bars when Dec / Jan rolls around. But… I hear you ask, is there any noticeable difference to the volume of sales conducted over than period? The above breakdown does show a tapering off in Jan of this year, but historically the data shows that in both the months of December and January, at least $20,000,000 of real estate is sold (this is homes, not sections) in the Nelson City zone. Based on the amount of inquiries coming from down south, where decision time is fast approaching for many displaced citizenry, I am led to believe that this year will be no different, and in fact could be a touch up on past years. A quick example to illustrate…..after deciding to ultimately move away from a certain city in the South Island, my last buyers had traveled around the mainland for a period in a hired campervan to view alternative spots to live. They love NZ, and love the South Island. Guess what, they decided the place to live was Nelson, and they have since entered into negotiations on a desired property. Do not follow the crowd. Ignore the market, the crowd, and its fashions. The other view is the one expounded by one of the worlds richest men, the so called “contrarian view” that the “Sage of Omaha”, Warren Buffett believes in. You haven’t heard of him? Here’s another much reported popular thought of his then…. He’s the chap who set quietly about buying some shares in a computer company called IBM around the Aug / Sept time-frame this year when many brokers felt it was GFC times all over again. I believe the sum he has “quietly” spent so far is up around $10 billion, in the process amassing a 10% stake in the company. Guess what. Those shares have rebounded and are now up 10% ….just a tidy little $1 billion profit already! Lets get back on track….. I digress….the contrarian view from the real estate perspective is this…..when many others “think” that its a quieter time and therefore mistakenly believe buyers aren’t out there…….they don’t list their properties for market. You, on the other hand then, should serious consider an entry point, because the lesser amount of new listings competition can only be of benefit to you in gaining a good price. Think of it this way, what are your chances for achieving a price premium in the market when there are two or three other similar aged / style / priced homes nearby. On the other hand if yours was the only new listing for December 2011 in the $425 ~ 450,000 zone, on the market in the surrounding 1km area, then buyers would certainly have a reduced choice now wouldn’t they? Is Nelson Unique in New Zealand? Property Sellers, be aware of this…. This entry was posted in Buyers, Nelson, New Zealand, Sellers, Stats / Sales Data, The Market and tagged appraisal, Buyers, buying, education, market, marketing, Nelson, NZ, Sellers, selling, stats on December 2, 2011 by David Leggott. We too have had many people checking out Auckland as a place to relocate once they get a payout in the south, but you will interested to hear that many of them have said that if they stay in the South Island that Nelson region would be their first choice!